This spring, take a cue from Boglioli's relaxed but clean cut collection. The storied Italian brand is known for lightweight pieces, expertly tailored and layered with an insouciant ease. Like pairing a polo shirt under a blazer or suit jacket. 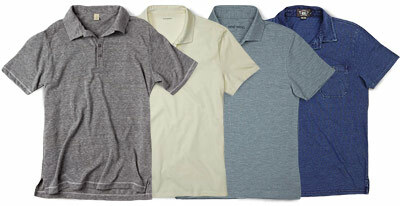 The key is finding a polo in a washed out color that's slim fitting but slightly slouchy for the perfect effect. The result is less country club and more continental cool. Meaning you look sharp and feel comfortable. It's a win/win. Anatomy of a Classic: The polo shirt.